Compared to Coldplay's last two flamboyant albums Viva La Vida and Mylo Xyloto, Ghost Stories feels as melancholically light and airy as Parachutes. Right from the dreamy soundscapes of opener Always in My Head, Ghost Stories is the quietest and most strikingly human album Coldplay has ever recorded. Magic is a clear illustration of the album's clever interplay. It's centered by simple hip-hop beats but before long, the thrill of expansive guitar echoes and Martin's astonishing vocal range comes to the fore. From the subdued Ghost Story to the all-nighter Avicii-produced A Sky Full of Stars, the collection has its extreme variations, but each song is tied together by frontman Chris Martin. 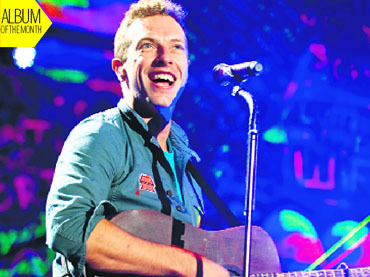 On Ink, Martin sings of feeling "like there's something broken inside," while "All I know is that I love you so/ So much that it hurts" echoes a similar sentiment from Mylo Xyloto's Hurts Like Heaven. On the beautiful song, Midnight with his voice multi-tracked and echo-laden, he sounds uncannily like Bon Iver whose best songs were also fuelled by the pain of break-up. Album Closer O is embraced by pretty piano trickles and Martin's falsetto that soars as high as the birds depicted in the lyrics. True Love is a genuine anthem, the bluesy guitar solo providing one of the album's finest moments, and the brilliant Oceans sprinkles just enough influence into the mix to ensure the new era of Coldplay has well and truly been ushered in. Everyday Robots is Damon Albarn's most personal and revealing work, in which he scans back through memories of his childhood and adolescence to offer a musical self-portrait. 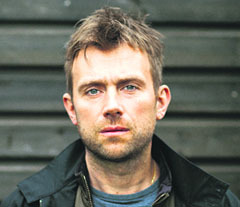 The opening title track establishes the album's focused template, Albarn crooning about the alienation of modern society ("We are everyday robots on our phones / in the process of going own / looking like standing stones / out there on our own"). The Selfish Giant, featuring Natasha Khan's honeyed pipes is home to romantic-era piano motifs and abstract beats. Mr Tembo is a sweet Calypso tune about a baby elephant that Albarn met while visiting Tanzania, and wrote it for his daughter. The tune is so jaunty and endearing it instantly steals your heart. Heavy Seas of Love featuring Brian Eno and Leytonstone Mission Choir is perhaps the grandest cut on the record, with rickety percussion and illustrious piano embellishments. Highlight Hostiles, meanwhile, is largely an acoustic guitar and Albarn's spine-tingling plaintive vocal, augmented by occasional choral backing vocals. A truly charismatic vocal on the beautifully arranged History of a Cheating Heart adds genuine emotional clout to a tear-jerking moment of stunning acoustic reflection. Everyday Robots is an album very carefully orchestrated. With live congress of organic and synthetic textures, the instrumentation seems at once to be carefully situated in its utter formlessness. The R&B-pop-dance-soul singer Kelis Rogers, who had a breakthrough with the 2003 adventurous hit Milkshake, returns with an album that is a moveable feast of old-school blues, ballsy soul, breathy doo-wop, folk ballad, muted brass and low-key electronics. As the misleading title suggests, Food isn't a gastronomic concept record. And despite some seemingly absurd names, these songs don't aim to be amusing. 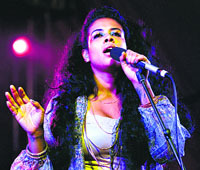 When Kelis kicks off the album with Jerk Ribs, her subject isn't Caribbean cuisine, she is recalling the wisdom handed down by her jazz-musician father ("He said to look for melody in everything"), while Biscuits with Gravy talks about childhood ambitions ("I'm standing in the middle of some other person's life"). The arrangements have a strong R&B flavour that greatly contributes to the energetic and immediately danceable production of Dave Sitek. Runnin' shows how her voice is the most believable during those honest, pain-fuelled moments when it cracks and breaks. On the rollicking Afro-beat track Cobbler, Kelis sings, "You make me hit notes that I never sing" and it seems totally reasonable to have a background singer trail the line with "She never sings these notes". Hooch is the funkiest track here, with a smoky staccato rhythm guitar that goes perfectly with Kelis's husky voice. 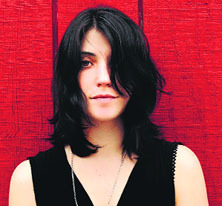 Are We There is the first of her four LPs that Van Etten produced herself, and her clarity of vision is awe-inspiring. The collection finds Van continuing to tear her heart wide open for all to see inside of, and once again reveals a generous and honest beauty. From a hesitant start, the opener Afraid of Nothing becomes something stately yet discontented, while Van's flawless vocals steer it to an emotional climax. Along with the enveloping musical structures, her skill at piecing together tight vocal harmonies is on full display. The rhythmic folk of You Know Me Well offers completely opposing expansions of the general themes of the record, those themes being love and loss. Other triumphs in the production include the horns on the stunning track Tarifa and the woodwinds on the brazen Nothing Will Change. Quieter songs like I Know and I Love You But I'm Lost are driven by piano, leaving lots of space for the vocals to soar. On Are We There, Van turns in the performance of a lifetime. She gives her everything to the album, and it's impossible to be unmoved.